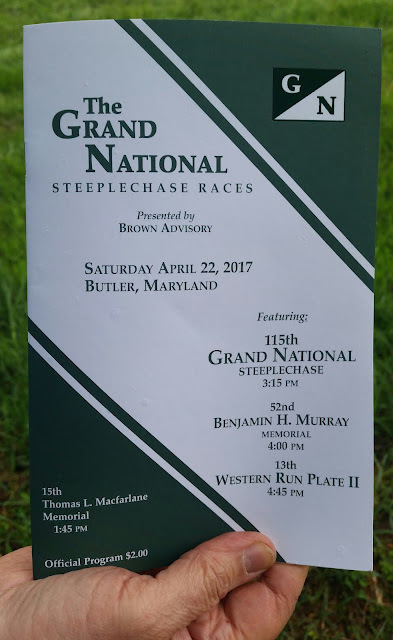 Grand National Steeplechase Butler Md. April 22, 2017. Four races. First race: The Fifteenth Thomas L. MacFarlane Memorial Field Master's Chase. Mundy Thursday service at Grace Lutheran Church.